No, I do not mean by the title that Alsace is a work in progress. Well, partly. I mean, there is much afoot in this great wine region that is sometimes confused with Germany. Let’s face it: German shaped bottles, Germanic sounding names. It is enough to drive some producers – such as Vignoble des 2 Lunes – to forego any mention of place or appellation and name their wines after lunar phases and the grape in question. Pinot Blanc Apogée, for example. Or Pinot Noir Lune Noire. Others employ Burgundy bottles for special cuvées or – like Charles Sparr among others – Champagne bottles for their special cuvées of Alsatian Crémant, which is sparkling wine made the same way as in Champagne, albeit usually with less time in contact with the lees. 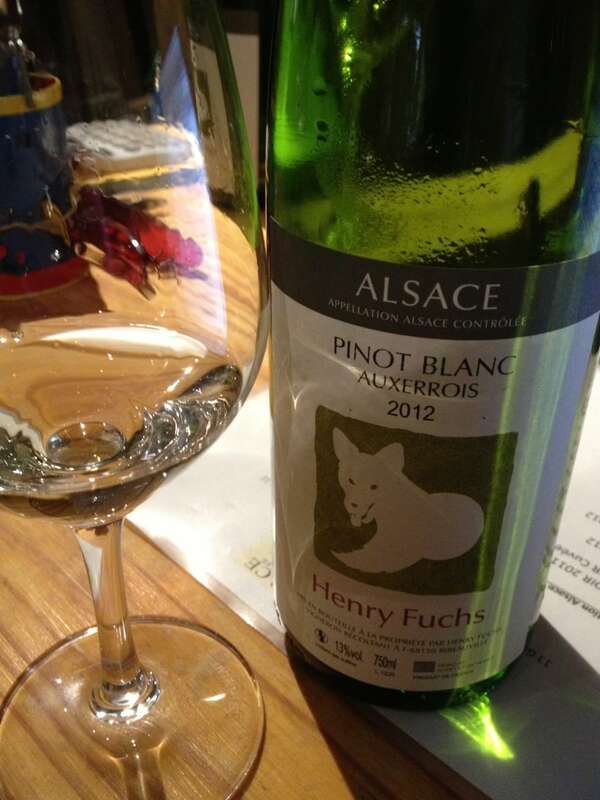 Anyway, what I really meant by the title is that I am working on a new Alsatian wine page, being in Strasbourg and all. You’d figure that I would have more material on Alsace wouldn’t you? Of course I love Bordeaux. It was my first major wine region that I dug into – and into which I am still digging. Or Burgundy. Or Champagne. Or the Rhone Valley. But Alsace is truly special. And let me tell you this. Another tip is to look for quality producers in the somewhat neglected northern part of Alsace. Two that come to mind immediately are Frédéric Mochel and Domaine Pfister. With these two properties, it is really hard to find a false note. And let me say something about Crémant. Damned good Crémant enjoyed in 2013 yet disgorged in 2007. Smooth, iodine freshness, with mere hints of oxidation. Bravo to Alsace! It is shameful that certain large quantity producers hawk their subpar wine for four euros or so a bottle at major supermarkets, giving Alsatian sparklers a bad name. There are some superb bubblies to be had in Alsace. 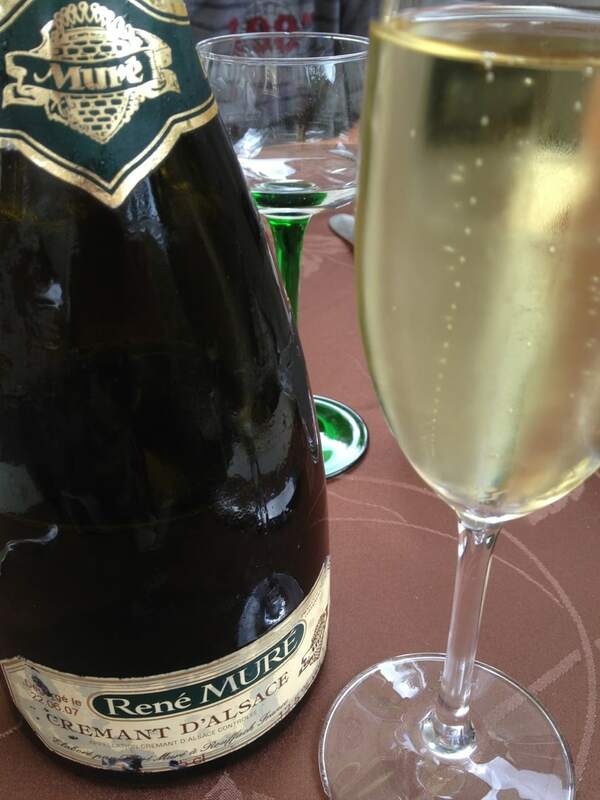 Just recently, I had a Rene Mure Brut that had been disgorged in … wait for it … 2007! Meaning that the wine has been waiting around in a restaurant for over five years, and I must say that it was delicious! Barely a hint of nuts, oxidation, small bubbles, smooth and refreshing. Who can bear witness to this? Well, none other than Guillaume Mochel who lunched with me at the splendid Auberge de Traenheim by Lydie et Claude Fuchs. And shall we also point out that the prestigious Bourgogne Aujourd’Hui named the Eclipse Crémant the best Crémant in France in a competition last year? Of course we shall, because it is delicious. Anyway, a brief video here – done in later August 2013 – that merely barely scratches the surface.